Cybertec pgconfigurator is a free online tool, which allows you to configure your PostgreSQL server fast, easily and professionally. 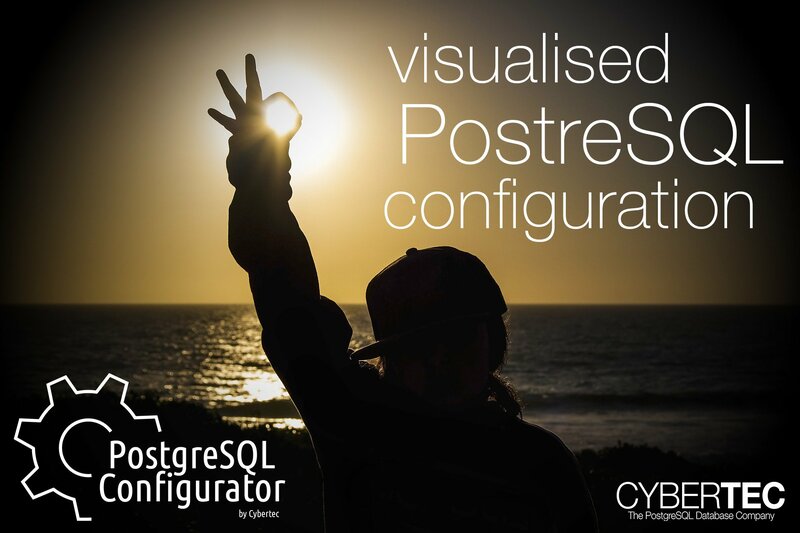 Cybertec pgconfigurator will take your input data and produce a ready to use postgresql.conf file for you. It is fully visual and we have made it super easy for you, the end user. Currently we support PostgreSQL 10 and beyond. Our plan is to support all future versions of PostgreSQL as well to provide you with a long term, free service. If you want us to improve Cybertec pgconfigurator or if you just want to send feedback. Feel free to contact us anytime. We are open to hearing suggestions and we are more than willing to improve the tool in the future.